Dante Valentine has been all three in her life. But in the beginning, she was a Necromancer for hire. And while she was choosy about her jobs, there were just some she couldn't turn down. Like when the Devil showed up at the door and offered her a deal. Her life - in exchange for the capture and elimination of a renegade demon. But how do you kill something that can't die? 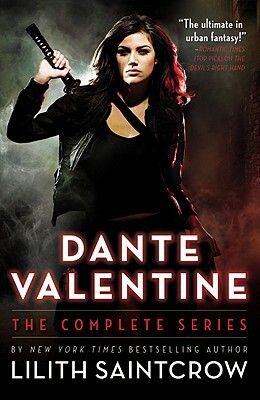 Dante Valentine, one of urban fantasy's hottest series, is compiled into one volume for the first time. Included in this omnibus edition are: Working for the Devil, Dead Man Rising, The Devil's Right Hand, Saint City Sinners, and To Hell and Back. Lilith Saintcrow was born in New Mexico, bounced around the world as an Air Force brat, and fell in love with writing when she was ten years old. She currently lives in Vancouver, WA.